Nitrous oxide side effects are real. The pun of how laughing gas is no laughing matter is pretty worn out; however, it gets the point across quickly. Nitrous oxide is becoming even more pervasive despite research finding it to be quite harmful to certain populations. Let’s discuss a few things about nitrous oxide before I begin to bash it. A gas that is inhaled through a mask. Let’s keep it simple. What is the Main Purpose of Nitrous Oxide? Its main purpose is to reduce anxiety in patients. If the purpose is to reduce anxiety, is it more for the patient – or the doctor? Imagine you as a patient needing to undergo a procedure in the next hour. You arrive to the doctor’s office stressed out a bit and anxiety sets in. You find yourself fidgeting and unable to sit still. You do. Not quite comfortably, however. You immediately notice drills and brutally cold, metallic instrumentation to your left, an ominous brilliant light just above your head and a wall which limits your escape route to your right. Anxiety really starts kicking in. That was the perspective of the patient. Let’s look at it from the doctor’s point of view. The doc remembers that s/he has nitrous oxide in the treatment room and immediately smiles and breathes a sigh of relief. S/he hears the nurse ask the patient if they want laughing gas. Then the audible ‘HECK YEAH!’ flies though the air and into the doc’s ear. Why is Nitrous Oxide Used so Much? Why is Nitrous Oxide so Bad? I am not a fan of most medications unless absolutely medically necessary. Yes, there are life-saving and absolute requirements for countless medications. I appreciate that and very thankful for it. However, we as physicians – and patients – are always seemingly looking for the quick fix. Because we want to move on with our life – move from one thing to the next – especially if that one thing causes pain and anxiety. This is what I teach in all my conferences, webinars, podcasts, radio shows, interviews, articles and in conversations. My goal is to teach you, physicians and the public – and mainstream media – that there are SAFE EFFECTIVE PROVEN alternatives to things like nitrous oxide. Given that – why use nitrous oxide? Especially since it is known to be very harmful to certain individuals. It messes up your methylation. You’re familiar with vitamin B12. You know how important this vitamin is. Now imagine if something came into your body and destroyed it – flat out. Nitrous oxide is a known oxidizer of cobalamin which effectively destroys it unless there are adequate nutrients available to restore the cobalamin back to its active and effective state. It means that nitrous oxide takes your vitamin B12 in your body and ruins it. It ruins it so much that it cannot do its job. Vitamin B12’s job, as methylcobalamin, is VERY important. It sets the stage for methylation to occur – in tandem with methylfolate. Methylfolate is what your MTHFR enzyme makes – and if you have the MTHFR polymorphism – and don’t eat much in the way of uncooked leafy greens, then you are LOW in methylfolate as well. You need vitamin B12 as ready-to-go methylcobalamin. You need your MTHFR enzyme working so your body can make methylfolate. You need both methylcobalamin and methylfolate to support your methylation. If you are lacking just one of them, your methylation cycle does not work. Yes – there is a backup route – but the main methylation cycle shuts down significantly. Breathing in nitrous oxide ruins your methylation. Who is at Risk by Using Nitrous Oxide? Dentists. They get first to second-hand gas all day long. Surgeons, nurses, office staff. They get first to second-hand gas all day long. MTHFR folks. If you have one or more of the C667T variant or a combination of the C677T + A1298C (like me). Single A1298C does not predispose much risk; however, two A1298C variants do. Vitamin B12 deficient. Wow there are a lot of people in this category. Methylfolate deficient. MTHFR or not – you may be deficient in methylfolate for various reasons. Glutathione deficient. When B12 gets damaged, who do you think comes and helps it out? Right. Glutathione. Pretty much any chronic condition/disease. Lyme, autism, down syndrome, autoimmunity, diabetes, acid reflux, inflammatory bowel disorders, pregnancy, breast feeding mothers and so on. Why do I Feel More Pain But I’m Relaxed? This is an odd one but one that can be explained easily if looking at what is happening. Dopamine is the neurotransmitter which contributes to pain – one of them – not the only one. The high the dopamine, the more intolerant to pain one will be. If one’s methylation is messed up by something – say, I don’t know – nitrous oxide, then their dopamine levels could increase. Now if one’s dopamine levels were already low, they may find themselves more attentive, alert and feel great during and afterwards. However, if one’s dopamine levels were normal to high, they will find themselves experiencing more pain, irritability and insomnia. If a person has a MTHFR and COMT Met/Met variant, then you are really talking about increased pain from nitrous oxide. Once again, it depends on the person. When do I know if Nitrous Oxide was Bad for Me? sloooow the rest of the day, it was bad. Now know that these signs and symptoms can be experienced immediately – or delayed by a day or two. This is what makes nitrous oxide so dangerous. The side effects can be s.u.b.t.l.e. and many times they are. What to Use Instead of Nitrous Oxide? NuCalm: I learned about NuCalm from Carol. She left a comment below. She said it REALLY helped her calm down. I reviewed it and it looks very interesting. Talk to your dentist about it – or find one that uses it. Distraction. Have someone sit by you, read a book, watch TV, put on headphones and listen to music, wiggle your toes, look out the window. Meditation. Put yourself in that state. A thought comes into your head, let it come in but then let it out. Don’t give it the time of day. Meditation doesn’t work if you force ‘nothingness’ in your head. You have to create it. That nothingness is created by not focusing on anything coming through. Just imagine your thoughts like clouds blowing through your head. There is no focus on the thoughts. None. They come. They go. In time, they will stop coming. Powerful stuff this is. Sleep. Get a great night sleep prior to the procedure – or two or three. Proper sleep allows your MAO enzyme to work properly. If your MAO enzyme is not supported by restful sleep, then your serotonin levels can increase – along with histamine. If these increase, so does your anxiety. Sleep prior – well. Adaptogens. If you are easily stressed out, then you are maladapted. I scared the heck out of a few docs in my last conference. I do that to prove the importance of adapting one’s self to stressful situations. I won’t divulge what I do because I will continue making my point in future conferences ;). Caffeine Elimination. Caffeine increases anxiety partially because it slows your COMT enzyme. If COMT enzyme is slowed, then your dopamine levels increase. If your dopamine increases too much, then you become anxious and stressed out. Cut the caffeine on procedure days. You can do it. Diet. If you eat just carbs and sugar, your blood sugar gets unbalanced. Unbalanced blood sugar spikes cortisol which in turns launches a flood of epinephrine and norepinephrine. These are the ‘stress’ neurotransmittors. If you eat balanced meals with protein, healthy fat and some complex carbs, your cortisol will NOT spike and you will not increase your norepi and epi causing anxiety. BTW – this flood also slows your COMT and MAO enzymes – and uses up vast amounts of nutrients. Eat well. Period. I NEED Nitrous Oxide. I NEED My Laughing Gas. You’ve tried all the basic recommendations above (honestly and thoroughly – because they do WORK for most people), and you still freak out. You retry all the recommendations above again. With assistance. Seriously. You may be blocking yourself. Open that mind. Riding a bike isn’t learned the first time. Neither is the piano. Man do I know about that. I have one more HUGE recommendation. I tried it once for an issue I had. Gone. Immediately. Nick Ortner himself walked me through my issue. Once. Done. Ever read the Tapping Solution? It can be a real life-savior. The Tapping Solution Works for Many. Note: The above book recommendation is an affiliate link which credits me a dollar or so if you purchase it. I do thank you for your support. Do know that I recommend only because I believe in it, have used it successfully personally or – both. Active B12 with L-5-MTHF: This provides both methylcobalamin and methylfolate in an easy-to-dissolve lozenge. Simply place in your mouth or your patient’s mouth prior to using nitrous oxide. This will replenish the B12 levels during the procedure. Use one afterwards as well. Note these recommendations prior to using – read this article. Optimal Liposomal Glutathione: This protects your vitamin B12 – along with many other things. Did you know that if you are low in glutathione, your ability to deliver vitamin B12 to your cell is limited?! Just because your blood levels of B12 may ‘look’ fine – they actually may be elevated – but what counts is how much B12 is INSIDE your cell. Outside doesn’t mean that much – unless it is low. Consider 1/4 teaspoon once a day away from food one week prior to the procedure, then 1 tsp the day of the procedure and continue with 1 tsp a day after that for a month. Then reduce and use as needed. This is one my most recommended supplements – and for very good reasons. I use it a couple/three times a week – and I take a tablespoon at a time. I certainly couldn’t take that much when I started – I worked up. Those are it. Just two for the general population. Of course, you do need to read the article I cited above – to reduce the risk of side effects from methylfolate. Now, if you are stressed or anxious, then you may need additional support. Optimal Adrenal: As discussed earlier, adaptogens are key for reducing anxiety. Optimal Adrenal provides a few different key adaptogenic herbs and select nutrients for the adrenals. I use this when I am stressed out or anxious – which thankfully now – is very rare. I used to be insanely anxious. You should have seen my first conference presentation. I was shaking…. Optimal Liposomal Glutathione: Yes. This is key for reducing anxiety as well. It’s an odd one but if you understand the science and hear/read patient testimonials, you’d get it. Could It Be B12? Yes. Definitely. This book is well-written, easy-to-read and very clinically relevant – for both docs and laypersons. I’ve read it – twice. Give the kid a chance. If you damage the mother’s vitamin B12 during delivery, guess what you are doing to the baby’s vitamin B12? Baby’s are undergoing MASSIVE amounts of methylation reactions – because they are still developing – quickly. You have a pregnant mother breathing in nitrous oxide, then you are ruining the baby’s methylation status. Now – stress in the labor room is not recommended either as that restricts blood flow to baby which is obviously not good. Reduce labor stress by doing the above recommendations as I have clearly outlined. Scroll up. There are ways to go about it. I attended three deliveries next to my wife. Our first delivery was very scary as the delivery was not smooth at all. My wife needed an epidural and that nearly failed. She was extremely stressed out. I was only a first year, first quarter med student so I had no clue what to do. It worked out and Tasman is alive and well today. Thank goodness. Our other two sons were delivered by our midwife in a beautiful home-like setting. I really think the home-like setting vs the cold, harsh hospital setting makes a HUGE difference. The video conference recording was presented to a group of holistic dentists in Las Vegas, October 2014. The first 1.5 hour video discusses in depth how nitrous oxide works and interferes with the methylation pathway. The second 1.5 hour video discusses in depth who is at risk, alternatives in detail and how to restore methylation. It’s generally ok for people but I do NOT recommend it still because many are B12 deficient, are genetically susceptible to issues from it or are just plain already experiencing methylation dysfunction to some degree. Why use something like nitrous oxide when there are so many amazing natural alternatives available? Your thoughts and experiences with nitrous oxide? As a medical researcher and worldwide conference speaker, your comments teach me a lot – which allows me to be a more effective teacher. I am compound hetero and thanks to you Dr. Ben I stay away from nitrous. I just had two infected root canal extractions done this week. My biological dentist offers this. I must say I was skeptical but it REALLY did work well and would recommend it to anyone who is anxious at the dentist. Thought maybe you would like to research it and give your thoughts. Carol – Great! Thank you – I will add this to the recommendations in the article now! Oraspa is the only integrated therapeutic technique used biologically and holistically to relax the patient in the dental chair. All the way from the DentalSpa to RestoraSpa from the hygiene room to the restorative room. Oraspa complements the patient’s medical history with the correct essential oils and uses a thermal TMJ pillow, an oral cancer, thyroid and dermatological screening done in a bio-rhythmic movement that makes the patient feel like they are at a world class spa. Evidence-based research shows that it lowers the patient’s blood pressure by 10 points and bring them to a theta or alpha stage of sleep. They don’t want to leave the dental chair. Less than 100 dental offices nationwide practice this successfully. No drugs and patients can’t wait to get to their appointment! After my sons & I were diagnosed with our MTHFR mutations, I made sure that nitrous oxide was on the “no-no” list. Oldest son had surgery in Dec, and the difference in his recovery was astronomically different from two previous surgeries in which he had nitrous!! Awesome to hear the difference in recovery time without nitrous. Thanks for this article. It is only in recent months (I’m 35) that I’ve learned about my sever MTHFR issues and other, similarly severe genetic issues. I’m actually not sure how I’m even alive, considering how my problems were grossly exacerbated by allopathic doctors, who did such things as put me on broad-spectrum antibiotics for nearly 20 years and a laundry list of other things that have wreaked havoc on my life and nearly caused my demise, literally. One thing I distinctly remember, though, that I believe still affects me to this day was when I had my wisdom teeth removed at 15 and was given nitrous oxide. When I started to come to, I began vomiting violently, even before I was even fully conscious. The staff tried to get me to leave the office, but I couldn’t even budge from the bench they had me lay on. After my family carried me out and drove me home, I slept for three days straight!!!! I may have gone to the bathroom two or three times in a semi-awake state, but I did not eat or do anything else but sleep. Luckily, in subsequent procedures as an adult, I was able to tell my anesthesiologists about my bad reaction to nitrous oxide, and they were able to head off similar problems somehow, perhaps by substituting other substances. Thankfully, I haven’t had as many issues with propofol or general anesthesia, but I feel quite certain that youth was on my side at 15, and that if I had nitrous oxide today, even with my supplementation, I would have very grave problems! Recently, I discovered as well that I have major problems with novocaine. Not sure whether this is related to MTHFR, but I darn near thought I would have a heart attack and code in the dentist’s chair. I had novocaine twice before–once at 5 and once in my teens. The first time, it didn’t work, at all! Also, my dad had an epidural-like anesthesia one time before knee surgery that didn’t work at all! No one believed me, or him, in both of those cases, and proceeded to operate. Needless to say, my dad nearly flew off the operating table! Something genetic must be at work here…. I have had a similar reaction to novocaine and learned that they mix epinephrine into novocaine to make it last longer. If they accidentally get some into a blood vessel, the epi has a strong effect on the heart – making you feel that way. You can request novocaine without epinephrine at the dentist. my brain fog, memory and cognition, attention issues and anxiety are spiraling quickly out of control. i think it’s due to a number of reasons, including mold and mercury, but i only just recently did my 23andme. still waiting for my copy but i know we have some MTHFR issues, not the worst. that said, i was at the dentist recently and they offered the nitrous and i said sure! i very quickly got super anxious – which i wasn’t all that much at all to begin with – heart started racing, felt horrible, and then went unconscious. this was around 7 months ago. i’d sure be curious to know if this was a cause of any of my current symptoms or if it at least made them worse. i can’t focus at all, it’s crazy. i didn’t have the gas for that long, because my reaction was so awful. and there i was, expecting a fun gas party. nope. Please try my recommendations below -to help restore your methylation. It’s important you start addressing the block made worse by the nitrous oxide. Of course, the mold, mercury, etc are not helping. thanks much, dr lynch. will definitely be looking into it! My son had ear tubes put in at exactly one year old. Up until that day he had met all his ages and stages and said words including mama and dada. They first gave him Tylenol to relax him before going back for the nitrous/anesthesia. After he woke up from the anesthesia he didn’t look the same. We brought him home and he no longer could speak to us or interact with us. My husband and I knew something happened to him that day, but his ENT and Pediatrician didn’t have any answers for us. We eventually started him on a gluten/dairy free diet and lots of therapy. Just before his 4th birthday we took him to a cranial sacrum doctor and after one treatment the pathway of his speech was re-opened and I was able to hear his sweet voice once again. I still felt there was this missing component due to the reaction to the nitrous. We started seeing a doctor that takes your courses and she had us do a Doctor’s Data full methylation kit. We also found out he is homozygous MTHFR C677T and should never have been given the nitrous, especially at 12 months old. We are now getting ready to start a methylation protocol with her and I look forward to what this can do to recover him even more! Please keep your knowledge of information coming to the doctors! Happy he is doing better. I would use our Optimal Liposomal B12 with MTHF – it’s liquid so easy to dispense and has a decent taste. It’s also highly absorbable. Start low and work up. I’d also bring on board the Optimal Liposomal Glutathione – that does not taste that good – so going to have to mix in juice. Use a little bit – 1/5 teaspoon or even less – few drops. Increase as he tolerates. Those two should make a significant difference. Not sure if you know this or not – but do NOT use it anymore – do not let doctors recommend it for him. Period. ONE DOSE of Tylenol WIPES OUT all his glutathione levels. Gone. In two minutes. Replenishing with the liposomal glutathione may be making a huge difference. Ah – one more thing – Optimal Creatine may also be a big player. Low creatine is common in kids with speech delay. Try one scoop mixed in some organic juice or something he likes. It doesn’t have much taste so easy to do. Please post and let me know how he is doing after you try these – and of course – work with your doc. Glad you’re in good hands. I still am in shock at how significant the disconnect is in standard medicine. It’s appalling. Seriously. I have never heard this about Tylenol?!?!!! Is it the same with ibuprofen? Might explain why tylenol has never helped either of my kids? Just to clarify, does children’s ibuprofen has the same effect on the body as Tylenol? If so, what’s a safe alternative to use? I don’t recommend it. I would use a liposomal curcumin to help reduce inflammation and pain. I really appreciate your response. It has been a long and painful journey to get him to his health today. During the first year before the ear tube surgery that put his body over the edge, his previous pediatrician was prescribing him antibiotics every 2-3 months. Through recent stool/urine testing with our current doctor that did the methylation pathway testing, he was found to have some higher levels of yeast. She is currently having him go through a 3 month anti fungal protocol clean out, which includes prescription anti fungals weaved in with natural ones. He has been extremely emotional through this process and that has been the only effects we have seen. We are doing this before the methylation protocol. Her thoughts were to rule out gut issues first. His main issue that we are working on helping him with is that he seems to be out of control of his body. Other than that he now speaks fantastic, reads as well as a 3rd grader (he just turned 6), can do multiplication, etc. What are your thoughts on what is going on with the anti fungal protocol and waiting to do the methylation protocol? Thank you! 12 months. Makes me wonder if the child received an MMR shot around the same time. Fortunately he didn’t receive the mmr or can’t even image how much worse he would have been. He lost everything the day he had the anesthesia. Following up from this post. We worked with one of your approved doctors for 3 years. Have ran every recommended test, stool, urine, NutraEval, Neurotransmitter kit, Doctor’s Data kit, 23 and me and taken all recommended supplements and protocols. Tens of thousands of dollars later, we are still stuck on this journey and this doctor released my son from her care without any warning. He is so close to recovery and we have all the information. Everyone is missing something to click that one last switch. My son is 8 now and is an amazing boy. He still has an emotional regulation component , he always needs to be in motion and has some focus issues. Any help you could give would be greatly appreciated! This exact same thing happened to my son. He went in for tubes as well at 2 yrs 8 months. That was the day he changed forever. He was a really well adjusted boy and his emotional regulation just totally went out the window and never came back. We’ve been looking for answers ever since. It was so apparent that his daycare said when I picked him up on his first day back, “Whats with Jack, he’s usually such a cruisy kid.” I feel for you. He’s 11 now and still has major anxiety. Also, my daughter had a branchial cleft and was operated on for three hours, she’s never been the same since either. Sorry to hear this Tania. It seems way more common than doctors think it happens. I feel for you, as well. Dr. Lynch – I am so amazed at all the education I’ve received on your site, as well as impressed at how responsive and helpful you are to so many questions and comments! My son (almost two years old) was diagnosed with lead poisoning a year ago (his blood lead was over 11). We’ve removed environmental sources (old home! ), but still barely lowered his blood lead levels after many months, and at a suggestion from another parent we had him tested via 23andme for mthfr mutations, with the understanding that such a mutation could keep his body from excreting the lead. As suspected, he does have it – actually the compound heterogenous version. I want to start a low dose chelation program for him (Andy Cutler protocol), to remove lead from his bones and brain over time. But I also want to make sure his methylation is working. I have no idea how I could find a physician who can help me with both of these things, and make sure I’m doing it properly. Do you have any recommendations for me? there are no functional physicians near me. I’ve seen two regular docs, a Chiro and a naturopath – and I know far more about lead poisoning than all of them combined. I need someone who knows about lead poisoning/low dose chelation AND mthfr. I’m rather overwhelmed at all of this. I am taking regular Solgar folate now (800+ mg per day – planning pregnancy soon – thankfully I learned vaguely a while back that folate > folic acid), and also breastfeeding my son 3-5x a day. Do you think he’s getting enough folate via breast milk? Should I give him a supplement as well? Again, I’m so incredibly appreciative of all the resources on this site! Glad that you are highly proactive. The invention of the internet by Al Gore is a great thing – allows others to do some digging. If you are following that protocol, possibly add a bit more of the Optimal Prenatal Protein Powder to your smoothie – this way he also gets more support. Thank you! So my son doesn’t need to be on any supplements right now, as long as I’m breastfeeding and taking a good prenatal? I bought a huge jar of the Garden of Life prenatals just a few days before finding out about our MTHFR. Is it okay to use that up (it has regular folate and not folic acid)? He may do well with a bit of the Optimal Liposomal B12 with L-5-MTHF – a few drops and the Optimal Liposomal Glutathione – a few drops. It may have regular folate – or it may not -depends on what they call folate. You’ll have to call them and ask. Many times companies will call folic acid as folate – and that is WRONG. Thank you for your email and interest in Garden of Life’s products. The Folate found in our Vitamin Code formulas is in a whole food form grown as a RAW Food-Created Nutrient. The Folate in our KIND Organics formulas is also in a whole food form and is sourced from Organic Lemon. I had bought 3 bottles of this and am still taking it, but only as an adjunct to Dr. Ben’s Optimal prenatal and extra methylfolate/b12. I think its a good product and has its place, but having true active vitamins is essential with mthfr in my opinion. I don’t see how they can get 800 mcg of folate in 3 pills with all that other stuff! I doubt their 800 mcg is apples to apples with 800 mcg of methylfolate. Thank you, Dr. Lynch for bringing this to the attention of the public. I co-wrote an article in RDH Magazine, by Pennwell publishing, 2009 December issue, a professional magazine for hygienists entitled, “Nitrous Nightmares”. I am currently working on a follow up article with a dentist and colleague on the evacuation systems in the dental office that are inferior. Feel free to look up the article in the archives, it’s a ‘nightmare’. Many years ago, in the late ’70s, I had moved to Arkansas – new state, new dentist. I needed a crown and the doc insisted on using nitrous. I asked him what it was for, since I’d never needed it before and didn’t like using unneeded meds even then. He said it would make me not care about having novocaine. I told him novocaine shots were not a problem for me. In fact, my previous dentist once thought something was wrong because I was so relaxed while he worked on me. I was meditating. He thought I should teach a class in it! The dentist insisted. I gave in and took the gas. After he finished placing the temporary crown I was so dizzy and weak I couldn’t drive the 17 miles home and had to lie on his waiting room couch for two hours. Then, when I went back for the permanent crown, he wanted to use nitrous again, despite my toxic reaction. This time I flat out told him NO and he didn’t use it. I didn’t have any problem driving home that day. Many, many years later (2010) I found out I am homozygous for C677T. That discovery explained another weird thing that happened to me years ago. I had met a friend in Las Vegas for a weekend. During the night I had a violent seizure, My friend called the medics and I woke up in a hospital 32 hours later. A couple of weeks later I had another seizure. I took Dilantin for a couple of years, but weaned myself off and had no problem until one day I used Equal in my morning coffee. After two days of this, I had another seizure at work. More Dilantin, until one day I had a huge epiphany. I realized that these episodes had all followed the ingestion of Equal (Aspartame), something I rarely used. My neurologist disagreed that aspartame could cause seizures, but I knew I was right and he was wrong, wrong, wrong! I very slowly weaned myself off Dilantin and have scrupulously avoided aspartame since then. That was 20 years ago and I’ve never had another seizure. Love to hear people doing their own successful research and making themselves better – so empowering. b12 had been impacted, but my GP was more inclined to attribute my symptoms at first to a deficiency or malabsorption issue related to the gallbladder removal. Sublingual b12 did help with the neuropathy, for a time, but then my ferritin seemed to bottom out. I have printed off articles to show my doctor that nitrous oxide is not my friend as someone with MTHFR issues but … what should I be asking her for in terms of treatment at this point? B12 shots and methylfolate? Anything else to ask her for? She is very open but of course does not know much about any of this. Treatment recommendations are provided in the article – as a starting point. One may also need things like R Lipoic Acid or Benfotiamine if neuropathy persists. Finding a doctor at http://www.seekinghealth.org – using the Physician Directory – is also highly recommended. I’m ahead of you! My doctor is on the list! I should add that the more extreme symtoms slowly subsided with the sublinguals, but that mild symtoms remain and are worse when I eat foods high in folate. I can experience pins and needles and/or muscular pain that makes me feel like my cells literally can’t make room for the folate. I eat well and avoid processed foods. I had been on gluten in preparation for a colonoscopy to test for celiac but called it off when I made the link between MTHFR and trouble with anesthesia. Thank you for your comment – great to hear that you no longer use it. Nitrous is finding its way into the OB wards fast – all over the USA. Will definitely connect with you regarding anesthesia-related questions – I’ve a number of them. Hi mark. I do have an Anesthesia question for my three-year-old who will have surgery next month. I know we are supposed to avoid nitrous oxide, but what are the other things that we should avoid in anesthesia? Are there any that are safer? Any pre-medications before the Anesthesia aside from the nitrous oxide that we should avoid? And any antinausea medications we should avoid? These are all things that I know these are all medications that the anesthesiologist was talking about with me. My 3 year old had his tonsils and adenoids removed on Tuesday. He was given nitrous oxide before receiving an iv for anesthesia. He has one copy of 1298. I’m still learning about MTHFR and didn’t think to look up info before his surgery. Since the surgery, he has become sensitive to light. I was trying to look up online info to see if that could be a reaction to the anesthesia or NO. That’s how I found this article. I called the Dr. Office and tried to tell them about the light sensitivity in relation to the anesthesia but the nurse didn’t understand what I was trying to ask. I do know that my son is deficient in B12. Do you think the light sensitivity could be in relation to the NO or anesthesia. Or more likely a coincidence since he only has one copy of the mutation. Hi Amber – if your son is low in B12, then I do recommend you work with your physician to increase it. In terms of light sensitivity, I am not sure. I will keep that in the back of my mind and look for others saying similar things. Regardless of one having MTHFR or not, nitrous oxide with a B12 deficiency may cause some side effects. I had elec surgery a year and a half ago and since then have had balance issues, brain fog and light sensitivity. My dx is chronic vestibular migraine. I wonder if this child’s light sensitivity is migrainous? I just found out I’m homozygous mthfr. In September 2013, I was given Nitrous Oxide for a routine root canal. I threw up the same night. 3 days later, sitting at home I began having blinding sharp pains, like ice picks, behind my right ear about every 15 minutes or so, accompanied by nauseous and hot sweat, and my right side went numb. I thought I was having a stroke. I’m only in my 30s. I ended up in the hospital twice that week for a total of 6 days, tested for everything under the sun, and all they could find was that I had one copy of the MTHFR C667T. Cariologist also found i had an open PFO. The next couple of months were filled with massive headaches, numbness on my right side, heart palpitations and episodes where my heart was racing, and jolted me out of sleep. These episodes would last all night. It would take days to recover from the exhaustion. (I’m a single mom and work full-time so add that to the mix.) Brain fog has been crazy, memory loss too. 4 specialists later, I’m just labeled an Enigma. I started feeling better with acupuncture and began taking Optima Turmeric, Natokinnase, and Probiotic, also Neutralize and Vitamin C. I’ve also started to try to eat gluten free. My numbness has just recently started to go away but every once in a while comes back. I”m thoroughly exhausted from the moment i wake up. AT least headaches are better lately but my heart condition is not. I’m in desperate need of a doctor in my area who knows how to treat MTHFR patients. My cardiologist now wants me to have a CT of the coronaries and I’m terrified of the contrast because I’m finally feeling a LITTLE better after so long. I feel it will set me back all over again. I react neurologically to shellfish including numbness so the iodine cannot be good for me. What do i do? Where can i turn? I live in the Central Florida area. I’m a single mom and it terrifies me not to be around for my son. Any help would be greatly appreciated. I’ve got to get my life back. I am glad to hear you are improving a bit. Definitely need to be working with a great integrative cardiologist and PCP. – Optimal Electrolyte – 1 scoop in tall glass of water after breakfast – drink over some time – say 10 minutes or more. – NADH + CoQ10 – 1 lozenge IMMEDIATELY upon waking in the morning – have it bedside. Again – these are just recommendations – and I highly encourage you to find a doctor from those websites above – and also http://www.functionalmedicine.org may also be useful. These recommendations may be vastly significant for you – do report back how they help you – and also report back that you found a great doc to work with! thank you so much dr. I will certainly look into these supplements and websites for doctors right away. In the interim, do you happen to have any information on The effect of CT scan with iodine contrast in individuals that are heterozygous C677T? my reactions to shellfish in the past have been neurological, including numbness, losing vision,feeling faint. Hence my fear of the CT scan of the coronaries that my cardiologist insists I do. Also, I began taking Optimal Electrolyte some time ago as indicated but noticed it would give me a headache each time. Any suggestions on that? I was just wondering whether you ever had the cardiac ct scan, and whether you did experience a bad reaction from the contrast? I am in the same position today as you were, wondering whether this is a good idea, due to being MTHFR 1298 homozygote.. and nervous about contrast dye reactions. I ran across your site trying to figure out why my son is getting detox sick taking iodine……but, OH…MY…CRAP!!! This is it! Apparently MTHFR is the missing piece to this crazy puzzle! My Husband had a colon resection 4 years ago (at 35), which the doctors believed then was a genetic cancer. Then he had an abscess surgery 2 years ago. His memory was completely shot afterwards It is now so bad he is making mistakes at work, which is scary. I am willing to bet the farm that this is his problem! And… probably the reason my son dead-out refuses gas at the dentist! He always said it made him feel awful the first time it was used on him at 7. He has had a ton of dental work done without it. He is now 14 and has to have his wisdom teeth removed this summer. Where do we start to fix it/them? Casandra – do test for MTHFR and report back what you find out. I’m Italian and where I live, I can’t do any genetic test. However, because of my mid-high homocysteine ranges (15-25) I’m pretty sure I have some genetic mutation. The problem is.. I have been suffering from erectile dysfunction since 2011… after a period of topical Minoxidil (but now I think that there is no relation). Some months ago I realized that a combination of B1+B6+B12 could partially reverse the problem (the supplement contained inactive forms). On the contrary, folic worsened my problems. Now I can say that methylcobalamin and P5P make my problem get better, but methylfolate can worsen my erectile dysfunction. However, too much methylcobalamin gives me angular cheilitis (probably lowers too much my folates) and so at a certain point I have to take some methylfolate. Another thing is that natural antibiotics (oregano oil, black walnut hull, wormwood) make my erection get better. So I thought it might be related to a Helicobacter Pilory infection that had caused low B12 levels..
Please… Does someone have some experience with such a problem? What kind of mutation it’s likely to cause my problem? How could I overcome it?? I also thought that it could be related to an elevated serotonin production via methylfolate. Excuse me for my English.. I’m Italian. Thanks to Dr. Lynch, too. Thank you for this website and for what you are doing here, it really must be helping people, I know that I am grateful and I’ve only just found this site. I heard you on Underground Wellness and came here to check out some of your information (I found out last year via the 23andme test that I have one copy of the MTHFR C667T). My main question is about the nitrous oxide factor as I had never heard about it before and would really appreciate your opinion on how it could have affected my health drastically, albeit several years ago now. I am in the US now but had my only child when living in the UK in 2002. They routinely give the nitrous in childbirth there, which I myself used in lieu of other pain meds. I breathed in the nitrous on and off for hours during my labor, which was uneventful and “easy,” I had a happy, healthy boy at the end of it. What I also ended up with was extremely diminished health and vitality. And to be clear, I’d had a “normal” pregnancy, kept very active during it, ate “right” (or what I was told was right) \, took my folic acid, etc. I worked, taught classes, had friends, slept well, had a very happy marriage and life. I had never been hospitalized, was rarely sick other than colds, had good energy, kept a decent weight, and was basically a “normal” 33 year old. After the birth though I ended up with anxiety issues, chronic fatigue, IBS, Fibromyalgia, etc–all of which were present from right after the childbirth (though most of them went misdiagnosed for years, causing me more anxiety and depression and even led to the loss of my marriage). I have been treating all of those issues/symptoms both in traditional and non-traditional ways, lately going the route of diet, meditation, homeopathy, EFT, and little to no medication. I am slowly seeing improvement though not a lot and not without setbacks. I only took the MTHFR test a few months ago so am now working out how THAT plays a role in my entire health picture. I just started working with a Naturopath on it. So perhaps I gave you too much of my story there, but my question to you is whether or not the nitrous oxide could have set off my MTHFR issue and caused a snowball effect–in effect causing me to be “disabled” in such a way as this??? It was such an extreme shift for me in my health and I have sought an answer for so long. It has been agonizing and frustrating to say the least. I know you can’t “diagnose” or even give me a definitive answer without knowing my full medical history, but I would just like your opinion and any advice. Yes – I believe the nitrous oxide exposure did reduce your ability to methylate – especially during a time of high methylation demand (pregnancy and breast feeding). Restoring methylation is what is needed – but that is tricky at times. It’s all about bandwidth – how much can your biochemistry handle? When having to deal with nitrous oxide, pregnancy, breast feeding, stress of a newborn – your methylation gets hit from many angles. The good news is that many times one can improve quite dramatically and I certainly this is the case for you! I am so happy I have found you! We have just found out my daughter is hetro combination of the C677T + A1298C. My daughter is now 5, but at 2 and a half had a hernia operation and they used nitrous oxide and she regressed into autism spectrum disorder. I have been doing GAPS diet, supplements (she is currently on a multivitamin (with l-mythofolate), probiotics, 5-MTFR, neurocalm and fish oil. We have been doing natural detoxing like epsom salt baths, clay foot masks, cilantro, dry brushing, lemon water etc. along with some therapy and energy healing and she has almost recovered…but I was wondering if you had any other recommendations for her? Thank you so much. I was diagnosed with heterozygous C677T after the premature birth of my daughter. She was born via crash CSection after they noticed reduced fetal movement and she was seizing upon birth and was later discovered to have suffered a prenatal stroke. Pathology report said my placenta was 1/3 normal size and 80% clotted. Testing found my MTHFR and then they also tested my husband and my daughter while still in the NICU and although I never saw a report, the nurse verbally told me “She doesnt have it”. My daughter went on to be diagnosed with cerebral palsy, she is globally delayed, nonverbal, legally blind and has multiple other diagnoses. At 18 months, because she was having issues with reflux, my daughter (who is now 7) was given nitrous oxide during an endoscopy procedure. I was against the use of the nitrous because I had read that it was contraindicated for people which MTHFR but both my husband and her Dr told me it was not an issue for her because SHE did not have the MTHFR gene. Well, it took over an hour for them to bring her out of sedation and even then she was so severely agitated afterwards they had to give her Demerol to calm her down. When they finally let us see her she was a mess! We took her home and she slept all afternoon but when she woke she was breathing with a very concerning ‘stridor’ (wheezing sound) so we took her to our pediatrician, let her know about the bad reaction to the nitrous and she gave her a breathing treatment with steroids, which seemed to calm down her stridor. 1) Even though they told us she didnt have MTHFR, does the fact that I have it still mean that she is susceptible to issues with methylation too?? 2) Is there anything that can be done at this point, so long after her exposure to nitrous, that might help to improve her development and how can we tell if her methylation is totally out of whack? Just yesterday I ordered your optimal electroyte, optimal chewable vitamins and optimal detox powder for our family. Would you suggest anything specifically for her? i know this is a bit late, and don’t know if you had any improvements or not, but just to be sure, you should either get a copy of your daughters medical records, and/or get her re-tested for mthfr. I also have mthfr, had a horrible pregnancy, had a huge clot in the placenta, but the grace god my daughter somehow came out healthy to the surprise of my doctor, but back to my point, i wanted to make sure she was on a good diet if she also had mthfr so i requested her pediatrician to test her, he scoffed and said it wasn’t necessary till after she hit puberty, but i insisted he run the test anyway. the results came back and he informed me that she was negative. a year or so passed and she had some minor health issues that required a cardiologist, as we sat in the cardiologist office, that doctor was glancing over her medical record, as he looked up at me and said “i see she has mthfr” and i said no, her pediatric doctor tested and said she was clear of it. and the cardiologist looked back at me and said, ‘honey, i’m reading her medical records right here” and showed me her record. my heart sank. i couldn’t believe her pediatric doctor had lied to me. i trusted that doctor with my child’s health. so please, if you haven’t already, have your child re-tested just to be safe!!! i never dreamed of a doctor doing that, but apparently it happens because many doctors still don’t think mthfr is a health concern unless you have elevated homocystein. also to mention that i am heterozygous a1298c, which to most all doctors i’ve been to “is nothing to be concerned about”. even though i had the blood clot, which many doctors say don’t happen with a1298c, i’m living proof that it does, so don’t always go on what a doctor says, get your own copy of all medical records and make sure to do your own research, and be your own health advocate. yes some doctors are good and listen, but mistakes can be made just as easily, so please just double check! Just received 23andme results for my husband. He is hetero for A1298C and V158M (and 2 other COMT mutations), and homo for MTRR K350A. He is also hetero for both VDR Bsm and VDR Taq. My husband has become very ill with trigeminal neuralgia in the last 18 months, and had a prolactinoma removed last year (with attendant hormone issues–he now takes levothyroxine and use testosterone gel). He was diagnosed bipolar some 20 years ago, though he never benefited from the combination of lithium and prozac he took for 15 years. At that time I noticed that his dysphoria would occur following a brief high, then he would shift into a three day rage, and a week or two of depression. It wasn’t like any bipolar description out there, but that’s all they could come up with. As he has aged, his highs have become briefer and his rages more verbally violent, and he added flight to fight when anxiety took over from rage; more than once he has packed all his clothes into the car, and once he actually did set out, but quickly got confused and tired and came home to get the meds he forgot, and I had the neighbors stall him until I got home (was out looking for him). He is a danger to himself and has to be constantly monitored. It got a little better when his neuropsychiatrist put him on quetiapine, which I can give to my husband at the first sign of dopamine intoxication to ward off or resolve an episode of psychotic anger. He is on so many other meds I can’t list them all (carbemazepine, lithium, verapamil, baclofen, diazepam, sudafed and benadryl are the main ones, plus some supplements such as magnesium, D3, vitamin C). We discovered over a year ago that sudden barometric pressure changes coincided with his mood swings, and it has become evident that his pain, which is caused by blood vessels swelling suddenly and rubbing against the trigeminal nerve from which the myelin sheath has degraded, precipitates a release of dopamine, which causes psychotic rage within 15-30 minutes (he only hurts himself by punching or throwing himself against walls–he has never become violent with another person). An ACTH stim test for cortisol did the same thing, so he is contraindicated for corticosteroids. The prolactinoma and trigeminal neuralgia combined with mood disorder put him in the hands of the best specialists at Johns Hopkins because no one else can do anything for him. He baffles even the best doctors. But my husband’s neurologist has encouraged us to do the genetic testing and I am hoping for recommendations from him when we see him next. That may be months, however (the neuro is head of the Headache Clinic at JH and very difficult to get in to see). Meanwhile, it is up to me (as it has been all along) to be my husband’s researcher and champion as well as caregiver, as he is in a brain fog much of the time. He is still working as a software engineer, but I am not sure he can do this much longer. So I found your website and am reading about MTHFR and COMT mutations, and trying to figure out what would be best for him. When I read about nitrous oxide, I had an aha! moment. His first fight with me occurred not long after he had knee surgery (this rage would become very familiar but not for 5 or more years, so I married him anyway–he is a very sweet, gentle man when the dopamine isn’t making a berserker out of him). He continued to spiral into more frequent episodes that were caused by pain or stress, though we didn’t know that then. Two months ago, he took a sniff of a bottle of oil of bergamot that I had just purchased, and within an hour it put him in a rage. I googled bergamot and dopamine, and sure enough there have been studies proving that bergamot essential oil raises dopamine. He has wonderful teeth, never needed braces and had few cavities, but he did have nitrous with his first fillings in his mid-20s, and those teeth caused him lots of pain; he had them redone, and got worse. I suspect now that the nitrous oxide both times degraded the myelin in the brain. He tried to lose weight on the high carb food triangle recommendations of the 1990s, and of course he gained it instead, and his mood swings increased in frequency and magnitude. I tried to put him on the Type O blood type diet (paleo), but he wouldn’t stick to it when at work. I’m sure he regrets all that pizza and folic acid now. In 2006 he had an emergency appendectomy (more nitrous, probably), and we moved to Virginia, where the weather patterns mean that the barometer rises and falls steeply and frequently, unlike in California. He got worse and worse, but he traveled a lot and worked late (I think as a way to protect us from his mood swings) so I didn’t notice how bad it was until he was laid off in 2009. By Jan 2013 I was determined to wean him off his meds using high quality nutritional supplements from Truehope, and he felt wonderful until August. Then everything went to heck in a handbasket. Stopping the lithium had released its inhibition on his prolactinoma, and it grew, compressing his trigeminal nerve and causing neurological problems like slurring speech, facial numbness, burning hands and feet, etc., not to mention the pain and corollary psychosis. The protactinoma turned up on an MRI in an emergency room visit, and was removed last year. Now the neurological symptoms are back following a glycerol rhizotomy under general anesthesia last week. His pain, which had been under control since last May, returned in January after his neuropsych recommended NAC. My husband took it for 3 weeks and lost all the ground he had gained. Surgical procedures are the only options left, because opioids and triptans can’t be used as often as he needs pain relief. We can’t allow him to be in pain because it causes psychosis and he would have to go on disability. Sorry for such a long story. Thank you for putting your research up. I have a lot to learn in order to help my husband, but I actually think I’m feeling hope for the first time in years. I have ordered hydroxocobalamin, though the neurologist hasn’t reviewed the DNA data yet. We will have to titrate it up in tiny pieces, because we have learned through much error that my husband can’t tolerate normal doses of anything; every little change or stress causes a psychotic episode now. So glad to know about nitrous oxide before he needs another surgery (and tylenol–I did not know he shouldn’t have it and will remove it from his meds list). Tamara,I just read your missive about your husband. I don’t have anything to offer except my extreme admiration for your loving loyalty to your husband under such trying circumstances. I don’t think I could have done all you’ve done. I hope and pray you both find answers to his vexing problems. You both need a major and permanent break! A year ago I was overdosed with Septocaine while under the influence of nitrous oxide. I thought I was going to die. Afterwards, I sat in my car in the dentist’s parking lot (as they passed me on their way to lunch), nauseous, dizzy, pain crashing around in my brain, and very afraid to try to drive. Since that time I have what Wikipedia calls “scalp dysesthesia”: at times it feels like my scalp is experiencing a chemical burn on it’s underside. I am totally scared of what traditional medicine might do with this so I have lived with it. I also had a mercury amalgum removed by a biodentist in December and was ok with a very small amount of Septocaine. An ND whom I’ve recently turned to wants me to do a DMSA challenge test. Everything I’ve read about DMSA makes it sound like a bad idea. I’m 80 and clueless as what to do? I have 5 MTHFR mutations but C677T is not one of them. i don’t know if you have any help yet, but i wonder if you are like me, if this sounds familar even a little, sometimes i get nauseous, and have even fainted, and tend to wake up suddenly to this sensation, it feels like someone took my scalp off and poured a hot, boiling liquid into my skull. for a long time i thought it was just headaches or due to sinus problems suggested by one doctor, but one day i had that same sensation accompanied with muscle spasm and small twitches. i now know it was due to drop in my potassium levels, i have o idea how its all related, but maybe have your doctor check your potassium and magnesium levels, it has bee a blessing for me, i hope this might help. I am in agony. A week ago, I niavely replaced my usual b vitamins with methylated B’s. After taking just 2 pills over a 24 hour span, I developed horrific depression and anxiety. It’s a week later, and nothing has improved. I had nitrous oxide at a dental procedure 4 weeks ago. Sounds like that may have set me up for methylation problems. I had low-level, untreated mood issues before this incident, but now I’m really in hell. Any advice as to how to start the process of undoing the damage I’ve apparently done to myself would be so, so greatly appreciated. Thanks. Steve, Dr. Ben wrote a great article on methyfolate side effects here: . You might also consider checking in with your doctor. Hope this helps. Steve, I was depressed much of my life until I found 5HTP, which helps make serotonin. I now take L tryptophan instead, because it seems a better choice for me. My depression lifted almost immediately shortly after the first dose. Years before I learned about 5HTP and L tryptophan I was given a drop or two of Rescue Remedy, a homeopathic, under the tongue. About 20-30 minutes later it was as if the sun suddenly came out and I was out of the depressive fog. Your case is more complex than mine, but perhaps you could find a doctor to work with who understands how to use nutrition and supplementation with brain imbalances. I am c677T homozygous. Am in excellent shape, eat very well, don’t drink/smoke. Shocked to have been diagnosed with T2D, with A1c of 8.4, about a year ago. Long story – within one year I dropped my A1C to 5.8, and it’s still declining. I think not T2D, rather the ubiquitous overwhelming of my system due to c677T (and cp450 mutations as well.) I believe the mutations may be linked to prior chronic exposure to pharmaceuticals from 1995 to 2005. Today, as part of my protocol, I take beet root. After reading these posts I wonder if that’s a mistake. Beet root elevates NO2 naturally. Question: Is food derived NO2 as dangerous as the gas? I recently did 23&me (January 2015) and my 3 year old daughter and I each are heterozygous C677T. When she was 1.5, she fell on the sidewalk and cracked her front tooth. It was cracked all the way up (vertically) into the gum. The pediatric dentist we saw recommended nitrous oxide gas and a papoose, and the tooth was pulled. I wanted to make sure she didn’t remember the traumatic experience, so I breastfed her while she had to mask on the ensure she’d get a ton of nitrous (insert mega mom guilt here). She was terrified the entire time if course, but now seems a lot better (again, she’s 3 now). How do I know if she gas had lasting effects from this N2O exposure? Her preschool teachers say she’s fine and on par with her peers, but I feel like she’s not as muscular as the other kids… She’s kind of floppy and uncoordinated. I realize all kids bloom at different rates, etc, but do you think she’s off balance still from N2O ? I had no idea. The only time I was ever given nitrous was without my consent – I was getting an IV prior to oral surgery to remove my wisdom teeth, and the nurse put a mask on my face telling me that it was “just oxygen.” Well, that mask wasn’t just oxygen, it contained nitrous, and I had a violent reaction to it. I nearly vomited into the mask and tried to rip it off my face. Two nurses held me down while a third put in my IV. To this day, I refuse nitrous. I’ll take the pain, thanks. Hi. I had nitrous oxide as a child for a dental procedure and remember to this day the weird ‘Alice in Wonderland’ like experience…I remember a dreamy like state I was falling down a hole and seeing things as I fell..such as books, pottery, etc. It was a very strange ‘trippy’ experience and wondered if I was given too much and if so if it could be why I started having severe panic attacks in my 20’s? I have a 1 year old son, and I am homozygous C677T, so I am assuming my son has some sort of methylation issue. (although has not been tested). he is going in for ear tube surgery and they want to use Nitrous. Obviously I am against that. Do you have any other recommendations for a 1 year old instead of nitrous? Tiffany – Glad you found this helpful! It might be worth testing your son for MTHFR ahead of time to know for sure. I recommend discussing this article with your surgeon to see if there are any alternatives. In the event that nitrous is unavoidable, please see the recommendations in this article to deal with the effects of nitrous. This comment from Dr. Ben might also give you some ideas. I am really confused by the above article. I did read a recent study that said there was no indication of depleted B vitamins. But studies can be steered so there is that. I was very ill with neuro-lyme and then NICO. I ended up with 9 extractions after RC and severe osteonecrosis from them. I was very very toxic. I dd many things right in terms of supportive supplements and detox methods to decrease inflammation. I have now had a total of 12 dental surgeries and have had nitrous the last 4. I used conscious sedation prior and felt terrible. The nitrous rocked for me. I am 677 and 1298. I react to so many things. Why would I feel better with nitrous? Maybe because you were taking B supplements as part of the Lyme treatment? My whole family has Lyme Complex so I am aware of treatment protocols. I will appreciate if you could help me with figuring out how to help my child. My son is 7 years and 9 months old. Very sensitive, anxious and allergic from babyhood. Used to develop atopic dermatitis and asthma like symptoms at the age of 10 to 17months due to vaccination. With the help of homeopathic treatment and diet we managed not to use hormones and eventually he overcame asthma like symptomthat. But food sensitivity still remains (honey, citrus, chocolate, also glut and lactose intolerant) plus some medication (polysporine and bactroban ointment from the known ones). In February this year he had his dental work done with the use of lidocane+ultracane (as usually local anaesthetics do not work well on him, do not freeze him and he feels severe pain)+ laughing gas. The procedure went pretty well, but after leaving doctor’s room the child immediately developed red hot cheeks, sweating (nose and head) , coughing and mucus in his chest. I gave him Claritin for 3 days. The next morning he felt better . A family doctor under my request sent us to an allergist to find out what could be an allergic reaction to. The allergist tested the child for the gloves material and medication (ultracaine, lidocane, freezing gel) and did not see any adverse reaction. Yesterday, (October 5th) my child had another dental treatment. This time I gave him Claritin 2 hours before the procedure and arnica 30, 5 pellets. A dentist used only one anaesthetic (not sure which one – lido- or ultracane) +laughing gas. They made sure they do not use latex just in case. The child did not feel really relaxed during the procedure. By the end of 50th minute he became very anxious, crying, trying to escape. As soon as the dentist finished the child became wildly crying, hiding his head in his clothes and hitting his head off the wall. That made the dentist surprised of such a reaction and annoyed. After the procedure the child was depressed, angry, unhappy. His cheeks were not red but slightly pink. In about 5-6 hours I noticed him sweating again+ mucus bubbling in his chest. During the night he was restless, very hot though without a fever. The next morning (today) he felt very weak, sleepy, refused from his breakfast, felt nauseous. By the mid of that second day he ate a very little bit, developed pain in his stomach and his right hip from the knee to the top (muscle?) .I took the child to the emergency room at the local hospital. They did not do any tests, palpated his stomach, gave him 4 mg. of Zofran/Ondonsetron to stop nausea and sent home saying we can come back if the symptoms persist or worsen. In an hour the child developed dizziness (I guess it was dizziness according to how he tried to describe his condition) and light headache. Nausea did not disappear completely. By the end of the second day he feels a bit better but still has some stomach pain, ate a few apples, drank water. I am pretty sure now it is my child’s reaction to nitrous oxide. I do not know how to treat his condition and do not trust or rely on the local doctors’ professionalism. Could you please advise me on what supplements or medication I can use to ease the condition of my child and eliminate the consequences of nitrous oxide use or what tests I’d better ask my family doctor to request for my son? We live in Canada. Thank you very much! Lenura – I’m really sorry to hear about your son’s and your experience. It’s hard to say whether nitrous exposure is the main culprit–it might be just one part of the picture. You’ll want to find a good holistic practitioner like a naturopathic doctor or functional medicine doctor to do a full evaluation. If you scroll down in the article, you’ll see that Dr. Lynch recommends Active B12 with 5-MTHF and glutathione if nitrous oxide is actually the cause of some of your son’s symptoms. You can ask your doctor to test for MTHFR gene variations and B12 levels via methylmalonic acid. If you need to speak with a doctor who has completed training with Dr. Lynch, please see the physician directory. Does this help? Nitrous Oxide made me feel very ill! It was insisted on by my dentist prior to general anesthesia to remove my wisdom teeth. I felt very nauseated, my entire body felt tingly/firey, I started to get a migraine aura, and in no way did it feeling calming or sense dulling. I was extremely anxious from the first three seconds it started. At the time I wasn’t taking any active forms of B12 or folate. Honestly after the anesthesia I can’t say what was the nitrous or anesthesia side effects. Being my second surgery it seemed most symptoms were from the anesthesia, except for the first hour afterwards I kept nearly fainting with the continued firey limb feeling. Glad (somewhat) to read that my unpleasant experience was not uncommon. Thank you, Doctor Lynch, perhaps you have saved my life. Until recently I did not know what else to do with my health. Sick 16 years, now I have 42 years. And my husband was not feeling well. In reading your website, I found a lot the last three months. Last year it was discovered that I have Hashimoto, two months ago thrombophilia, and I’ve got the MTHFR mutation 667. My husband has a mutation MTHFR 667. We plan to check the mutation also in 1298, and histamine. In the past two months I had also low copper, low b1, low b2, too much folate (folic acid I took for planning pregnancy), normal level b12, normal homocysteine. Symptoms were like beriberi and Wernicke encephalopathy, so I checked it, I had numbness of arms and legs,too. Husband ​​checked only copper, which is a normal, normal homocysteine, B2 is low. I got five injections (ones a week) vitamin B1, B6 and B12. I feel about 80% better, but I still have emotional problems, much smaller than before the injection, but I can not concentrate on work and family life. We also have a husband and I have persistent infections, colds. No energy. I understand after ridding this article what happened to me when I had sinus surgery in 2011. The operation did not fall hard for me, but I felt bad after the anesthesia. More than a week whole body ached as if I have sore muscles. Given that I found in the sinus aspergillus flavus, and I felt sore muscles, I came to the conclusion that my body too acidic, so after 10 days of operation applied base diet, 3 months, based on a lot of meat, no milk, sugar and gluten. Helped me a lot and I felt that my life was saved. In fact, now I realize that I am on the way with lots of meat brought sufficient vitamin B12 and other vitamins from group B, so that I could continue to live. From an early age not give dentists to give me anesthesia, or anything else, I do not remember why, it is easier to bear the pain alive. We still have not given up on having kids. I want for my husband and me to order HomocysteX ​​Plus, but I can not find a site that delivers in Europe, specifically in the Republic of Serbia. Can you help me? I wanted to try a supplement called SuperBeets for energy during my work outs. It is made strictly from beets, but the reason it works is because it says it raises Nitrous oxide in the blood. Would that be a bad idea ? I am homozygous for the C667T mutation. Thank you. My daughter had her wisdom teeth removed 4 days ago and has fallen into a terrible depression and no longer functions well enough mentally to complete school assignments, study or take tests. While not yet tested – she seems to have all of my medicine and food sensitivities. I am homo c667T (so she is at least hetero). Knowing in advance that she would be sensitive we told the surgeon to use as little medication as possible and NOT to use NO. The minute I went back to the recovery room I found her bawling uncontrollably and wistfully sad. The depression hasn’t lifted. She is normally a ball of energy but now has no interest in doing anything. The surgeon says that they used fentanyl, 1cc of propophyl and Midazolam. They claim the only thing in the mask was oxygen. My daughter said that once they put on the mask she thought she was going to vomit and her blood pressure went up — that’s when they gave her the propophyl. What do I do?! She is already gluten free and grain free and we juice every other day. Help! Hello. My 4 year old has had dental work done and each time the dentist used Nitrous gas. I have noticed a few days after he seems very angry, which is unlike him. His behavior stays this way for a few weeks. Do you think the gas is changING his mood/behavior? If so, do I need to go to our pediatrician and get gim tested or give hime b12? Or do I need to get other tests done? I do not recommend nitrous for anyone – please find or consider alternatives in this article. He likely needs nutritional support as well. Nitrous is high risk for some – pls be careful. My daughter was recently told she had this MTHFR– and it was inherited. I discovered that she inherited it from me. Much of what I have read- makes many of things I have experienced make more sense. I just have one question– I never have had nitrous — but years ago when I went to a dentist they injected me with something which had a very adverse reaction. The second time it happened- I realized whatever they were injecting me with was causing the reaction. I have an extremely high tolerance for pain- and so the next time I went in to have a tooth removed I refused any pain relieving injections or numbing injections— I actually did very well and was very happy with the outcome. I’m just curious if you know what ingredient would have had such a negative reaction? Do you think it is related to the MTHFR? My 14 yr old son has severe anxiety and OCD. He is terrified of the dentist but has to go to have 2 cavities filled and they want to give him nitrous. He had a horrible reaction to the SSRI’s the Dr gave him for the OCD and cannot tolerate that. Now, I’m wondering if he may have a bad reaction (become more anxious) with the nitrous. Please advise. Hi there and thank you – thank you so very much for all that you do. I had an awful experience after using nitrous oxide 30 years ago when my oldest son was born, in England, they gave me the mask and told me to use it as needed. And I do remember throwing up fiercely after a little while. I also have severe issues after surgery, it takes me 10 times longer than a normal person to recover from all the anasthetics and what not. So my motto is avoid all kinds of surgical procedures like the plaque. That is how I got on the trail of alternative medicine and healthier living choices. I was asyphixiated in a dental chair under the influence of nitrous oxide. I had told the dentist I had a heavy case of sinusitis and couldnt breathe through the nose. I didnt know until later that nitrous oxide should never be used on people with any type of respiratory blockage…makes sense NOT to give a gaseous anesthetic or any other type to someone with a headcold right? The experience was horrific. 26 minutes struggling to breathe, pain, hallucinations. Still recovering 18 mths later. Have something for anxiety and end up traumatised. Dont ever use it. If there was one medical procedure I couldxadvocate to ban in the world the use of nitrous oxide would be it. So glad you have put this topic out there. This article has affirmed that my kids behaviors were not all in my head. My oldest child had nitrous with her fillings. I never questioned it because they seemed to use it on all the kids. I did kind of question it because my daughter wasnt even nervous. She left the office crying and would cry and be grumpy for about a week. This would happen each time she had it and she had lots of cavities. Her permanent teeth were better. My second child didnt have cavities so it was all easy to dismiss. Then came my son and his teeth were even worse. He didnt do the crying thing afterward but during. It almost seemed that he might have been feeling more pain or that the sounds and vibrations would bother him. Then for the next week or so he would be moody and violent. I then asked the pedodentist about it and according to him it was unrelated. Then I find out my kids have the mthfr 677 and 1298. The last fillings my son had he actually did much better without the nitrous. He had been taking his vitamins for his mthfr for several months by that time. He cried a little but I held his hand and sang to him keeping him distracted. I have also since learned that the condition of my kids teeth has been fluoride overdose. My 5 1/2 year old son is scheduled to have an adenoidectomy and they are likely to use nitrous oxide. I am scared because whilst he has no MTHFR symptoms I recently found out I am MTHFR C677T heterozygous. Also, while my children are both very different, his 9 year old brother started having problems around the same age and I suspect he also has MTHFR deficiency. He was recently tested for B12 deficiency and the result was 1050. He has learning difficulties, spina bifida occulta, convergency insufficiency, and mild hypotonia. To complicate matters he started tic-ing constantly two months ago after a sore throat and fever. A month later he had another sore throat and fever and was diagnosed with Strep A and hospitalised as he has unable to walk. Muscle enzymes were found in his blood, rheumatic fever was cancelled out. The tics stopped with very strong antibiotics but started again when he switched to amoxycillin. The hospital doctor thinks I should pursue MTHFR testing as he can’t explain why his body reacted this way. I am in Hong Kong and nobody knows anything abut MTHFR or PANDAS (which I suspect he might have). My doctor is just starting to learn about it and is doing all she can to help, but I don’t want to do anything stupid like put my son in for surgery and he ends up the same way as his older brother. My 9 year old niece has one mutated gene, Pandas and Lyme Complex. Regular IV immuglobin treatments have helped her 100%! Initially her behavior was poor and OCD. She is a completely normal child with this treatment as well as other Lyme protocol treatment. I would bet your child also has infections for Lyme, Babesia and Bartonella. My son (3) went to the dentist about a month ago to get some dental work done, she used novacaine. He would not let her fill the tooth so we took him home rescheduling the appointment. He has rash on his cheek and neck after the shot of novacaine. We went back Monday to try again and this time she recommended using nitrous oxide. We did and still he would not let her fill the tooth so she is referring him to an oral surgeon for sedation. However, I am concerned because the day after he got the nitrous he has canker type sores all in his mouth and on his tongue. Could he just be extra sensitive to meds? He has never has meds, vaccines, or anything. We typically use an holistic approach to everything. I just did not want him in pain from the dental procedure so agreed to try the novacaine first, and nitrous second. But now I am at a loss. Could the nitrous have cashed all of those canker type sores? When my son was approximately 12 and Already going through Lyme complex treatment he was given nitrous oxide twice. The first time The procedure was very fast but I noticed a complete change in his behavior within 20 minutes. This normally calm child could barely sit still in the chair and within a half hour of leaving the dentist office he was crying and acting out, which was completely odd for him period. I knew immediately he was reacting poorly but not why. The second procedure a week or so later I mentioned to the dentist my sons odd and poor reaction to the nitrous. She seemed to not believe me but gave him a much lower dose. This time he had to wait longer and again could barely sit still. Very odd behavior but when the more extreme behavior started I looked at the dentist and said, see I told you it was a bad idea. I did not know until many years later that he has the C677T mutation. Reading about nitrous and the mutation finally brought a full understanding for me of the situation. Thankfully my intuition stopped me from ever allowing the nitrous again. Also I am thankful he was on multiple supplements including B vitamins for his Lyme treatment which lasted 8 years. His behavior was crazy and I imagine perhaps he was dealing with more pain than he should have. I had a colonoscopy and gastroscopy back in February. I have A12298C. Not sure about the 2 variants. I have autoimmune issues. I felt tired, mentally confused and I had impulsive tendencies for about a month after the anaesthetic. I am in the process of finding out what was in it. I have had quite a few anaesthetics and have never responded like this. It was pretty scary. I am compound hetero for 677 and 1298. My cardiologist just recommended a Nitric Oxide supplement (beet root powder, sodium nitrite, l-citruline,etc) for daily heart health and circulation. Will this also affect me negatively by increasing nitric oxide in the body? Thank you! My 11 year old daughter had an extremely adverse reaction to nitrous today at the dentist office. She was already anxious from past medical experiences and so the dr. gave her a sedative (liquid) along with the nitrous. She did ok – relaxed until about 5 minutes prior to the cavities being filled then she ripped out the holder from her mouth and started to scream. We could not keep her still as she punched at her mouth, bit her tongue and continued to try to run out the door of the office. It was absolutely terrifying – her eyes were not even focusing on me or her brother as we tried to talk her down. She went on like this for 30 plus minutes until the dentist called 911 for the police to come help. They put handcuffs on my 11 year old…handcuffs to keep her from hitting. It was horrible for her until she begin to calm down (about 45 min. after she ripped off the nitrous mask) and cry into my arms. Now we have a traumatized daughter with 3 filling openings in her teeth. After reading about nitrous and reactions – I have to ask – what can we do now? Would B12 vitamins help at this point? I can assume that she is allergic to nitrous or perhaps that combo of the two together? I never want her to have to repeat this horrific experience! Any ideas would be greatly appreciated. Thank you. As a child going in for my first cavity filling, of course I chose the “sweet air” over a needle. This is about 50 years ago, but I do remember feeling suddenly very nauseous —-and scaring the very sweet dentist. I have one copy of the A1298C. My assumption upon reading your above article is that there may be other SNPs that contributed to my reaction? I know that I have a number of variants along the methylation pathway and also 3 or 4 that cause me to be sensitive to any methyl donors. And I want to say: Thank you! THANK YOU! for sharing your knowledge with us. I will be recommending the book to my doctor, thankfully, she is open and looks to gain information and expand on her understanding. Keep beating the drum. The medical industry needs to be woken up. As a person with hypothyroidism and the daughter who’s mother had pernicious anemia, I have experienced first hand how ignorance harms (to put it mildly). And please, remember to take care of yourself. I’m freaking out a bit as my newly 6yr old is getting a tooth extracted Monday. It’s beyond the point of saving. They are planning on using NO during her procedure. I’m not sure if they’ll do it without it. This is the 4th dentist we’ve seen. The 2 Holistic dentists we’ve seen say it needs to be extracted but refer us to mainstream pediatric dentists to complete the work. One wanted to put her completely under, which I obviously refused. At least this dentist is willing to pull it without putting her completely under. I don’t know what to do? It’s decayed and has an abscess. Would oral/nasal sedation (not put under) be just as bad or worse. I’m having panic attacks from making this hard choice. Hi Erica, I came upon this site looking for information for my son. He is scheduled for a dental procedure in a week. He is heterozygous MTHFR and autistic. I plan to speak with the anesthesiologist this week. I want to tell him under no circumstances is he to have NO. I was just wondering how you made out? What did they use for the procedure? Alpha Stim – check it out – it’s a all natural device that increases the alpha waves in the body and perfect for reducing anxiety. It’s been used with the US military since 2005 for PTSD, pain, anxiety, insomnia and even depression. It works wonders and a great sub for NO!! After two occasions, when I was offered Nitrous Oxide for taping of leg injuries, I was ill for a week. When I contacted my nurse specialist (Bronchiectasis) didn’t accept my concerns. I was having having chest pains and difficulty breathing. Also, I am vegetarian and at the time was not taking a B12 supplement. I have been studying nutrition at university, which alerted me to the need for organic food and supplements, following long-term antibiotic treatment. Presumably, it had taken about a week for me to feel well again, as it was filtered back out of my system, but it was very disturbing at the time, so much so I wondered, if I had a blood clot on the lung or a partial collapsed lung. I feel so much more reassured, now that someone actually recognises this gas can be a problem for some. Could you also include Post Polio Survivors as at risk. Our bodies do not respond well to any sedatives. I wonder if many of the adverse responses to Nitrous Oxide in older people could be explained as them being polio survivors. Many pre vaccine folk caught and survived the virus WITHOUT visible after effects. There are Post Polio Networks in Australia, Canada, USA and Britain. Easy to find. I have used Nitrous Oxide several times for different procedures, while I haven’t experienced necessarily negative side effects, the last time I went to the dentist I had a panic attack for a filling. This was a new holistic dentist as we had moved and I have had to have 2 teeth removed in the last few years because I did not want to have a root canal. She is actually the one that suggested I might have MTFHR because of how I reacted. I did not receive NO that day. She did have NU Calm and it did not work for me. I am already anxious about the dentist so I feel like it’s a catch 22, do you recommend using it if you do use the things recommended above like the b12? I can’t imagine having a procedure done without it now. My blood pressure gets high because of my anxiety and because I’m hard to numb. I have red hair and need high amounts of anesthesia to numb. The (new) last dentist couldn’t ever get my mouth to numb, which leads to more anxiety. I am going to my old dentist out of state next week and wondering what I should do? I do feel more comfortable there but my blood pressure is always high when I go, do you recommend anything else for the anxiety vs NO? Thanks so much! Thank you for this! My son has autism and C677T. He is needing extensive dental work and will require sedation. I told them no on the gas, but what are the better options for sedation? had nitrous oxide with third baby, went weird. Called post natal psychosis. ( I have had 5 children, all the other births were fine, no problem at all.) 8 weeks later was in a mental hospital for 3 weeks, I never recovered from the PTSD from that. Was put on more drugs to cope. If only I had known, yes I do have both the genetic mutations, I guess I am luckier than most. 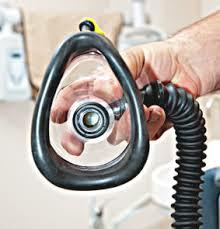 I know of one lady who had ECT< and 20 years of brain bending meds, all because she had nitrous oxide in childbirth. Does morphine have a similar effect? Both my daughter and myself are sick for a week, if we need morphine, or morphine type anaestetics during surgery etc. I also can not tolerate valium, and many other drugs. Now I know, I wont even touch a damn panadol, never again. I am having surgery with a general anesthetic. I am comp hetero 677/1298 COMT. Do I list nitrous as a drug allergy? What is the best way they don’t use it? Just tell them don’t use it and put it in your chart. Bash needs to have one of his bottom teeth removed. The baby tooth won’t come out. It’s causing him great discomfort. What options shall we present to the Dentist? He is MTHFR c677t. I don’t know what NuCalm is bit I don’t think that will suffice if we arepulling a tooth from the gum /flesh. Need some help. He is 6. Talk about childhood trauma. Try a dentist pulling your teeth without a deadening agent. Hi, my oldest son was diagnosed with sensory processing disorder and exposure to Lyme. He was also found to have 1 copy of mthfr mutation and has been on specialized vitamins for that, along with antibiotics for Lyme. My youngest son hasn’t been tested yet (he is 4) but has been diagnosed with a speech delay. He also needs extensive dental work and I am worried he may have the same mutation as his brother. I have been putting off the laughing gas and dental work but he has started complaining recently so I am thinking the dental work will be in the near future. Is sedation dangerous to chcikdren with mthfr? If he needs laughing gas what supplements would you recommend for a child 4 years of age who may have MTHFR mutation? Last May my daughter was given Nitrous for an hour and 45 min during a dentist visit. The next day she started experiencing debilitating pain and symptoms that led to an emergency room visit. She continued to deteriorate over the next couple of months to a point of being disabled from work and her health and quality of life were both very poor. We were seriously concerned if she would survive. She finally met a PA that understood what had happened to her and tested her for MTHFR. She has had several infusions and is taking supplements that have improved her health dramatically. We are now learning about the MTHFR gene and appreciate all the information you have provided. Thank you for sharing your research. I am sorry to hear about your daughter’s experience with nitrous oxide side effects. I am glad she is doing better. Liposomal glutathione, methylcobalamin, methylfolate, methionine and TMG are all a must for her. What is TMG and where can I get it? Following up from this post. We worked with one of your approved doctors for 3 years. Have ran every recommended test, stool, urine, NutraEval, Neurotransmitter kit, Doctor’s Data kit, 23 and me and taken all recommended supplements and protocols. Tens of thousands of dollars later, we are still stuck on this journey and this doctor released my son from her care without any warning!! He is so close to recovery and we have all the information. Everyone is missing something to click that one last switch. My son is 8 now and is an amazing boy. He still has an emotional regulation component , he has high energy and has some focus issues. Per my 2015 post after he went non-verbal the day he had nitrous for ear tube surgery. We were able to get his speech back just before his 4th birthday and he is brilliant! Any help you could give would be greatly appreciated! i’m so glad i found this article. I have the homozygous C677T MTHFR mutation and i went to the dentist on tuesday to have work done on a root canal. i had work done on this tooth before but they couldnt numb it with Novocaine so i asked for nitrous oxide this time. before i took the gas i asked them what it would do and they said it would just relax me. 30 seconds after inhaling the gas i started to feel like my entire body became heavy and i was going into a deep sleep…i had an inner battle for a minute as to whether i should fall asleep and leave the gas in (because i really didnt want to feel the pain) or pull it out… i quickly pulled the mask off and called for the nurse (no one was in my room) feeling whoozy i asked if this was supposed to happen- they all rushed in and said no… i kept on floating in and out and asking them to please let me sleep- they tried to keep me awake and prevent me from falling asleep. after a couple of minutes i felt better but started feeling heavy and sleepy a few minutes later… by then they were all very nervous and called an ambulance. when the emt arrived he quickly administered oxygen and took my blood pressure. my blood pressure was extremely low and my pulse was dropping. i had a wierd cold sensation in my legs and a feeling of “its over” i started to scream that im dying and they should do something… they all looked quite nervous and took my phone to call my husband down. after some time and extreme effort to stay awake i felt somewhat better… they took me to the nearest hospital just to be safe. when i came home i did some research and found all the information about nitrous oxide/b12/mthfr and the pieces are coming together… who knows what would have happened had i not pulled off the mask…. Well done for listening to your intuition. I recently had a young girl referred to me because she went into a multi-day coma due to nitrous oxide. You will need to use the nutrients as specified in the article – very important!!!! My son is 3yo, he broke one of his front theet. I took him to a general dentist and she referred me to pediatric dentist. She said my son needs to get a cap because the nerve is out. Is there an alternative to nitrous oxide he can use? He is autistic. Hello! Any suggestions would be greatly appreciated. Have a 6 year old son that needs a crown on a back molar. He is heterozygous C677t. I have read for hours about how bad nitrous oxide is, but I still don’t know what to do for him now. He also has sensory processing disorder so the sounds of the work to be done will be too much for him along with having someone working in his mouth to just get the local injection. He needs something done quickly as the cavity is close to the root, but I am at a loss and can’t make a decision I am comfortable with. If B12 is given before and after the procedure…should be about 20 minutes…does that negate the side effects? I am so worried about a regression of his progress for the last few years. PLEASE, PLEASE help with an actual option for him!!! Also, have looked into the NuCalm and can’t find a provider in our area that utilizes it. I am wondering (since “sedatives” for colonoscopy was a big deal. IF there is more information about surgery incase the dentist has to go very deep or if either way everything could be just fine with only novacaine.